Changes to the constitution here in Hungary have resulted in a series of anti government protests. Happily those which took place yesterday passed off relatively peacefully, the police out in full force but not, as is often the case, in full riot gear. Nor did we detect, as on previous occasions, that acrid, sinister smell of tear gas. In evidence, of course, were the distinctive green vans, nicknamed 'saláta kocsi' [salad bus], utilised to remove from the streets those who the authorities deem to be offending against the law. All of this, together with a visit by Éva B who recounted tales of sheltering in cellars during the 1956 Uprising, put us in mind to turn out the War Drawer. Memorabilia! Can one ever have enough or, indeed, too much? Among an assortment of Ration Books, photographs of wartime weddings, and an unused, boxed gas mask, we came across the Victory number of 'Blighty', the erstwhile weekly magazine produced for the Forces. Published within its pages a poem, 'The Lamps are Lit', written by my father in 1945. Quelle surprise! 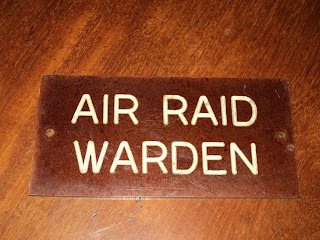 To all of this may be added a recent aquisition of a small, Bakelite plaque originally intended to be screwed to a door: Air Raid Warden. At the moment it sits propped against a letter rack on a side table in the Morning Room, an item of information now turned conversation piece. A proposed trip to Pécs this coming Thursday, to see an exhibition of Hungarian Impressionists, must be postponed with the unexpected arrival that day of friends from England. Interesting. My father and his family left Hungary in 1956. Budapest is one of my favorite cities. How I envy you. How really fascinating. We are delighted that you know and like Budapest and thank you for becoming a Follower. Crumbs, I lived in Brighton for six years: Park Crescent Road, just near the Level, many happy memories! I also love Budapest, went many years ago, whilst still under 'Goulash communism' amazing place. Thank you for your lovely comments over at mine, am off to read your blog! 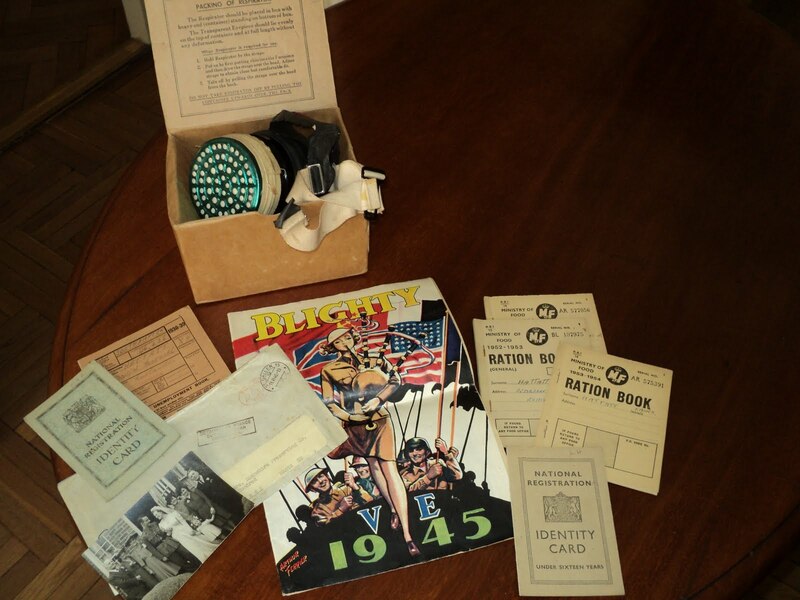 What a lovely little collection of war time memorabilia. Fascinating to see it all relatively intact and standing the test of time. I love that little Air Raid sign, on bakelite was well, what a treasure. I'll never forget the feel of an old bakelite transistor radio my grandpa gave to me, sadly before I was old enough to fully appreciate the clunky box. What a small world it is! We return to Brighton for a week or so every three months or so in order to get our fix of the seaside! However, we do now think of Budapest as home as its quirkiness [even more so than Brighton] suits us very well. Ah memorabillia! I am a sucker for it, and wish I was organised like you with a 'war drawer". 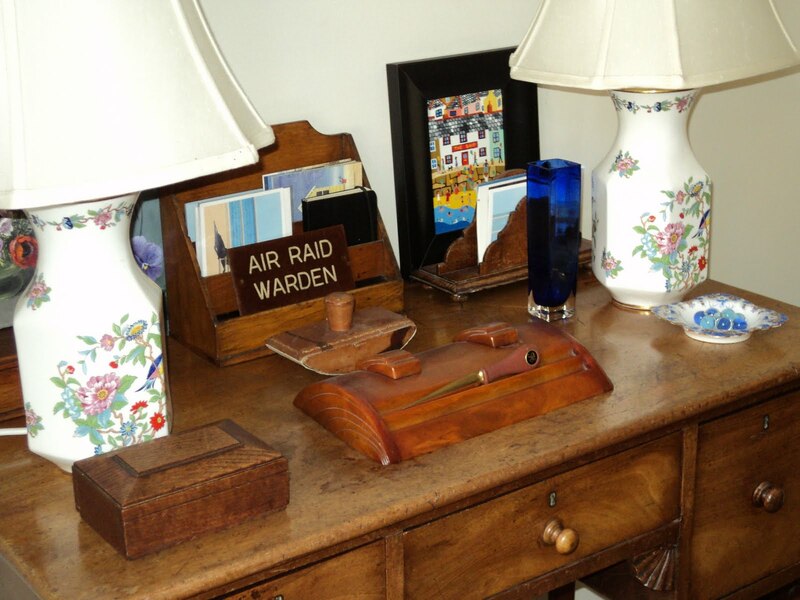 Yes the littel bakelite sign is cute and looks great on your desk. Thank you! We cherish our 'war' collection which, over the years, has expanded to what is now becoming rather alarming proportions. We are so pleased that you like the Bakelite sign too. Evidently the inventor of Bakelite was Belgian we learned recently! Hello Jane And Lance...welcome to the world of blogging! Thank you for visiting 24C and introducing yourselves, I'm so happy to know you and appreciate the follow very much! Your war memorabilia is fascinating...as is the fact that Bakelite originated in Belgium...so interestng, I thought it might have been France. Thank you for such a warm welcome. Yes, it was only very recently that we discovered the origins of Bakelite which must have been quite revolutionary in its day. I spy with my little eye a lovely pair of Aynsley Pembroke pattern lamps! Well spotted. We are so pleased that you like them. I have been to Budapest once an amazing experience. Not often you bump into a Hungarian blog, a treat! We are so pleased that you have visited Budapest and have good memories of that time. We think that you are right, there seem to be very few blogs based in Hungary. Dear Jane and Lance, It's so charming that you cherish your father's memorabilia. It's like a beautiful museum display in here. 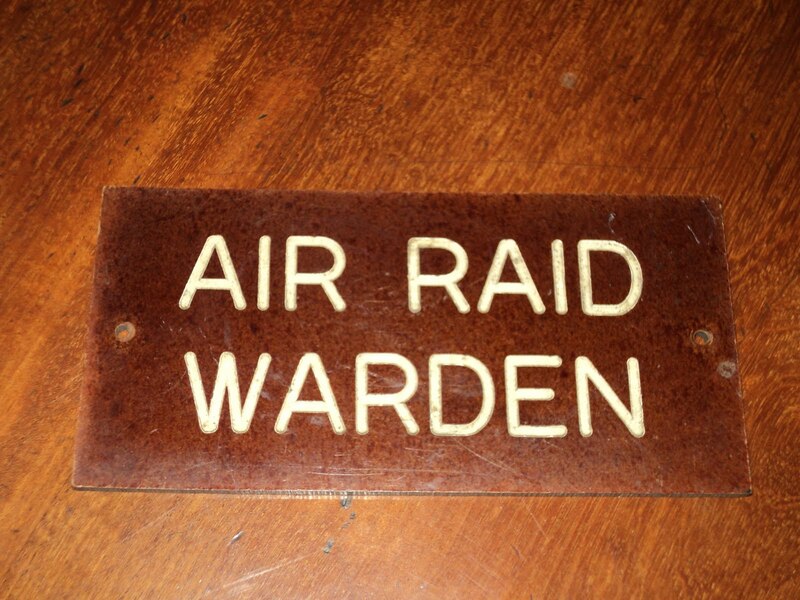 I love the Air Raid Warden sign in your morning room. It's a pity to hear about the protests. It's not much difference over here either with the doctors and nurses going on strike according to The Independent, 20000 doctors and nurses to be cut as a part of NHS job cuts. I've been reading (almost at the end of the first chapter) a beautiful book by Peter Zilahy (translated by Tim Wilkinson) called The Last Window-Giraffe. He is originally from Budapest. He writes about his home town with such humour and clarity. I'm sure you probably know about this book. 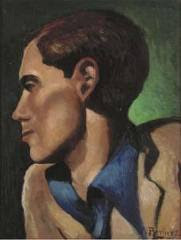 I first discovered his writing in the FT weekend newspaper magazine. Like you, we are more than alarmed at what is happening to the NHS. The news you give of cuts in the numbers of doctors and nurses is of great concern and one is left wondering what the future holds. No, we do not know, to our shame, of The Last Window-Giraffe but have now made a note to follow it up. Thank you. "Memoirs about growing up in Hungary attract eccentric titles. Last year, Adam Biro gave us the intriguing One Must Also Be Hungarian. Now comes this bafflingly named book by Péter Zilahy, a young writer and performer from Budapest. Perhaps being Hungarian requires a minimum level of eccentricity". This is really kind of you and to go to all the trouble of providing the link. It is much appreciated and will be followed up! You may possibly know of, but if not, might appreciate 'One Minute Stories' by István Órkény which give a wonderful picture, often amusing, sometimes sad, of life in Hungary [or The Motherland, as we think of it!]. Greetings Jane & Lance from Houston, TX. First I'd like to thank you for your kind comment on my blog and for following; greatly appreciated. I look forward to following HATTATT. I'm fascinated about life in Hungary and always thrilled to read and see more of the U.K. as well. When it comes to memorabilia, no one can never have too much. It can conjure up memories that have been on a shelf for many years if not decades and it can bring us back to a place in time in a split second. In most cases, it's important to not forget how those before us lived life. Be safe and again, I look forward to reading many more of your great posts. wow....what treasures.....and how lovely to have two such diverse places to live, I have always thought that was a sensible option!! How wonderful that you have signed up as a Follower, thank you very much. We are so pleased that you are in agreement about memorabilia.Indeed, we were much enthralled by your own nostalgic reflections in your current post. We very much look forward to our continuing dialogue. Thank you so much for signing up as a Follower. It is greatly encouraging when one is new to the world of blogging. Yes, we very much enjoy the contrast of living in two very diverse cultures. It certainly keeps us on our toes! We are delighted to learn of your interest in Hungary and much appreciate your visiting our blog, for leaving a comment and for becoming a Follower. Your comment is most encouraging to us as, on occasion, we fear that we have far too much 'stuff'!! I am a hoarder so there are lots of interesting things in drawers, cupboards, boxes, bookcases! So many memories and reminders of the past can bring to us episodes of our life that are both pleasant and unpleasant. Live the present to the full, being mindful of the past, but looking forward to and planning for the future. things helps in all of these. We really appreciate your thoughtful and sympathetic comment. Thank you so much for taking the trouble to write. Also, it is good to know that we are not alone in collecting up items from the past which do, as you suggest, trigger our memories. Thank you so much for visiting my blog~ and your lovely comments. I completely understand your horror in my interest in all things related to the Royal Wedding!!! If I were there, I would be fleeing! I look forward to following your life in Brighton and Budapest. Happily we have managed to be out of the country on all previous Royal occasions but even here there is, apparently, no escape as the happy [?] couple are featured, or so we are told, nightly on Hungarian television! As a student of history with a love for an personal connection to WWII (my father began his career as a pilot then) and much cherished memorabilia it is so fascinating to peek into your War Drawer. Also to hear first hand of history being made with the unrest there. The internet makes our worlds smaller while at the same time making our hearts and minds larger as we find new friends and learn about their lives in a new and personal way. thanks for visiting my blog, I am following you now! We are thrilled to welcome you as a Follower as we so enjoyed our visit to you.You are so right that the internet enables a global community to share its myriad of cultures and it is all so fascinating to share the lives, hopes and fears of others. We look forward to our continuing dialogue. Hello! did you get my comment on this post? I am not sure if it published? What an interesting blog this is. I also look forward to following your blog of your life between Brighton and Budapest. I can't wait to see more photos of where you live. The tourist in me always wants to see more photos ! I have always been intrigued by Budapest. Growing in in 1950 it was a very exciting city to us in America. Now we have found you!! Stupidly, we looked at the latest post [where we have left a reply] rather than looking here. Apologies. Welcome again as a Follower! No, we are sorry to say that we did not receive your comment on this post but we did have, thank you, your second one. And thank you again for becoming a Follower. my hubby felt frustrated with the situation and the way the government is ruling - overly confidence and arrogance! while I wondered why the protests (not riots) didn't happen earlier when it counts..
We can well understand your husband's feelings. It is all too easy to become totally frustrated, almost on a daily basis, by so very many events and happenings. But then there are plenty of wonderful times - and we would not change for anything. Right, I have found C19 and can picture where you are. I adore maps (and memorabilia as you may have deduced from my own blog!). I stayed at the Marriot on the river when I was there, and stayed more or less in the city centre. I enjoyed the Hungarian Impressionists I found in the National Gallery up on the hill :) and was so excited to see one artist had my own surname! How wonderful that you have visited Budapest and know the work of some of the Hungarian impressionists. We recently saw an exhibition of 'The Eight' at the Fine Arts Museum which was a marvellous tribute to those early impressionist painters in Hungary who, unlike their French contemporaries, did not rise to such fame or fortune. Your hotel has such a wonderful panorama of the Danube, absolutely beautiful at night when all the buildings are floodlit.